Danyliz Rijos was born and raised in Puerto Rico were she started as a bartender at the Caribe Hilton Hotel in San Juan where the Piña Colada was invented. After that she has the opportunity to be part of La Factoria’s family, 50 World Best Bar, and work at their VINO Bar for about 2 years till hurricane Maria hit the Island. 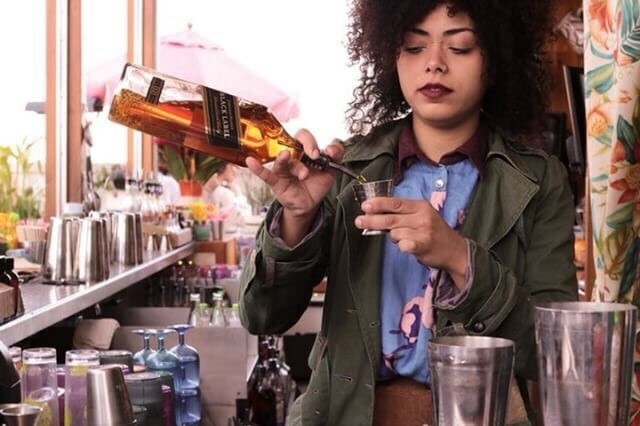 By that time Lush Life Events and Don Q Rum were relocating local bartenders, helping them to get shifts at bars all around the U.S and that’s how everything started in Los Angeles. Relocated at Broken Shaker LA for a fundraiser to help Puerto Rico and Mexico’s aftermath. Current working at The Exchange Restaurant and DAMA both at Downtown LA.